I wasn’t looking for another dog when I met Mulder. My friend was searching for a canine partner at Alachua County Animal Control when the dog in run #44, who was already neutered and therefore only cost twenty-eight, 2001 dollars, caught my eye. 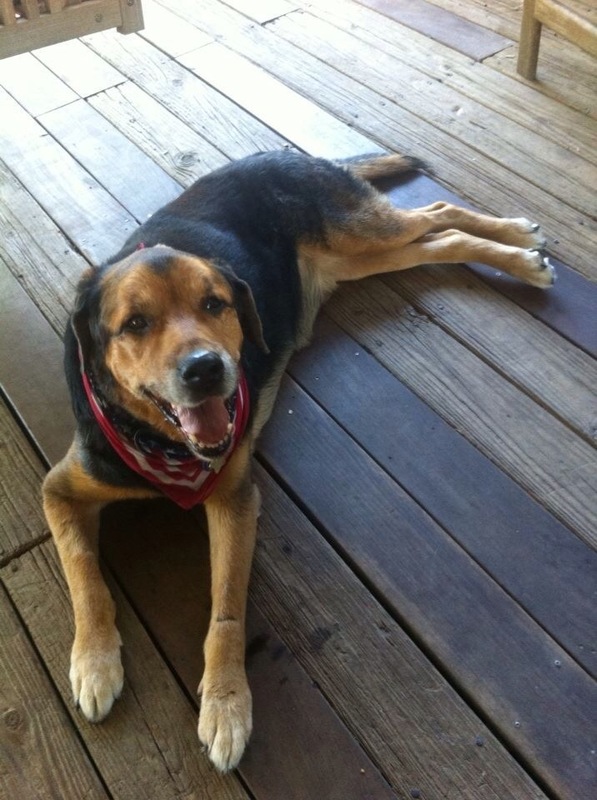 He was large with a beefy Rottweiler head, lounging and slowly panting inside his run. He rose when I stopped at his kennel door and ambled to greet me. He was young, but a limp due to hip dysplasia was already apparent. I took him out to meet my friend, but he only fetched for me, innately knowing that I was a serious pushover for a handsome face. From that moment, he had me wrapped around his giant paws. Besides perhaps our first meeting, Mulder didn’t try to hide the fact that he was the best worst dog on the planet. I bestow that title with confidence, having read countless dog tales and memoirs, each capturing the wild love affairs between independent dogs and their frazzled humans. Mulder knew when he was bad, but he couldn’t help himself. He’d wantonly stare at baby chicks I’d bring home in the spring, and then unabashedly look to me and lick his lips. He’d get caught sleeping on my off-limits bed and simply continue his snooze. He’d steal any soft dog bed by being annoying – he’d plop down on top of the resting canine and take over the coveted spot. He’d steal food/rawhides/toys from another dog if I wasn’t present to be “alpha” and tell him no. He never let me sleep in, primarily because he wanted breakfast. His way of waking me was to rest his head on my bed and stare at me for a few seconds before letting out a soft warning “woof,” which immediately escalated into a full-on bark assault if he didn’t see my eyes open. He proudly retrieved all sorts of disgusting live and dead things, and, over the past year, has shown up on my doorstep with calf legs, deer antlers, a myriad of bones, a chicken egg (he didn’t break it), and even a live tortoise. He’d sit outside and bark as loud as he could with a mouthful of plunder until I opened the door. He brought everything home so he could relax in his spot on the shag carpet in our living room, and bask in the glory of his (scavenger) hunt. His nicknames included “No Apologies Mulder,” “Motorcyle Maniac,” “Mo Train,” and my pet name for him, “Mr. Mulder.” Mulder learned lots of tricks during our fourteen years together-I’d say about six altogether. 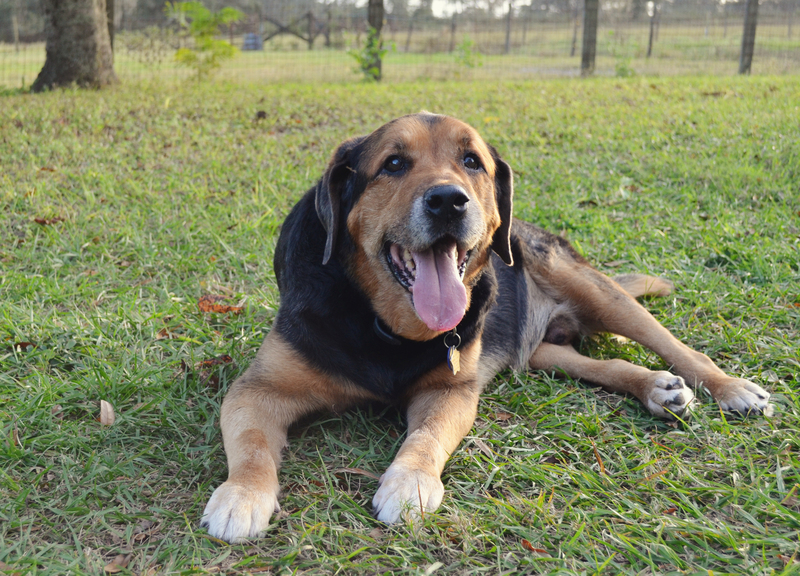 He knew “sit,” “down,” “wait,” “shake,” and his favorite, “speak.” He also knew to scan the trees for wildlife when I said “Get the ‘possum!” He never learned “leave it,” or “gentle,” and nearly amputated a few fingers thanks to an insatiable appetite and the bite force of a Rottie. Besides me, Mulder loved dirt bikes and footballs. He’d go a little cross-eyed and his massive bark turned falsetto with the revving of an engine. In fact, he’d give chase until he couldn’t walk, if allowed, the exhilaration of his prey drive far outweighing the guaranteed painful aftermath. He exhibited the same behavior toward any football or basketball that dare be tossed or bounced by him, the thrill subsiding only with the eventual deflating of the ball, after which he’d proudly trot around with his kill, his predator prowess on display for all. He had a basketful of toys which he played with daily, tossing and squeaking and biting with puppy charm. He loved to roll on his back and wiggle while chomping on his squeaky duck or Christmas tree toy. During his last few months, I oftentimes came home to him resting in his “spot,” surrounded by the stuffed toys and balls he loved. I suppose the best worst dog doesn’t just happen without being a bit spoiled. Despite all of his, um, character quirks, Mulder made me smile. He made me laugh. Watching him sleep made me relax. Whenever I could, I would nuzzle my face into his soft, loose neck fur and just breathe in his scent. He smelled like a mix of earth and grass, of fresh cut wood and oftentimes, horse manure. These scents were his earthy cologne, smelling clean in their aggregate. Burying my face in his thick, furry neck gave me momentary peace, and I am pretty sure it did the same for him. Although no dog I know made more outrageous mistakes than Mulder (with no apologies), the best worst dog far outshined me when it came to loving life and as Cesar Milan says, living in the moment. It became clear as the years passed and Mulder never lost his zest for life that he was going to make his departure from me an extremely difficult decision. Great dogs are like that. 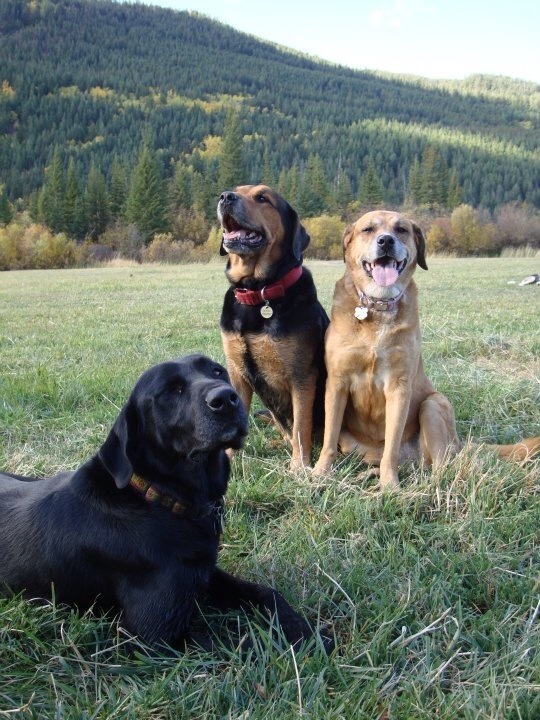 As all of my animals moved synchronously into their senior years, I grappled with the thought of how much intervention I was to provide at the end of their life. The conclusion I reached, and this is not to say everyone feels the same, but I decided that I would do everything possible to keep them comfortable and alive, so long as they have “quality of life.” Primarily, quality of life to me means that they have an appetite, are mobile (without too much assistance), and any pain that they have is manageable. So at age eleven, when Mulder was diagnosed with a Mast Cell tumor on his “bad” hip dysplasia leg, I had to decide whether to put him through surgery at such an advanced age. 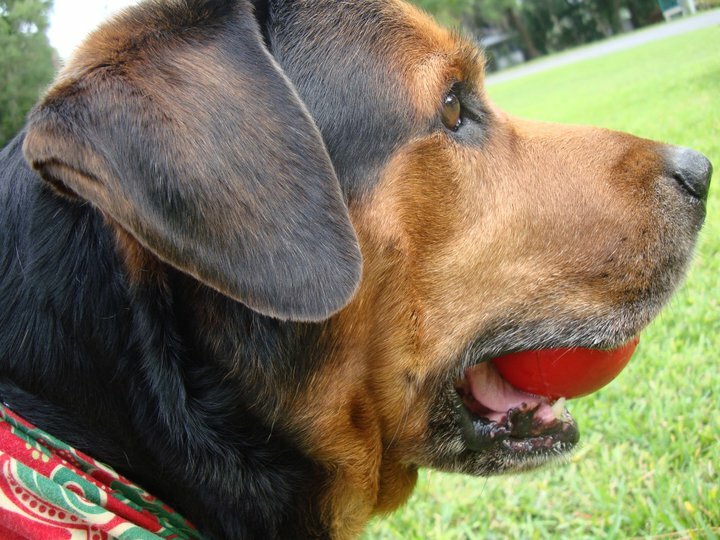 At one hundred pounds, his life expectancy was short, but I knew if any old dog could make it through surgery, it was Mulder, and opted to have the tumor surgically removed. As happenstance would have it, Mulder actually grew stronger after that surgery. Shortly thereafter we moved from the east coast to the mountains, and I started living a more active lifestyle, enabling him to become physically active and independent. At age fourteen, I took him into the vet for a droopy eye, what was diagnosed simply as “Horner’s Syndrome” at the time. However, during that visit my vet performed a full examination and a worried look appeared on her face. She was not concerned with his eye, but rather his heart. She took him back to x-ray his chest. The results were grim-he was on the verge of congestive heart failure, and she guessed he had but a few weeks to live. I always thought that Mulder’s bad hip would ultimately take him from me. 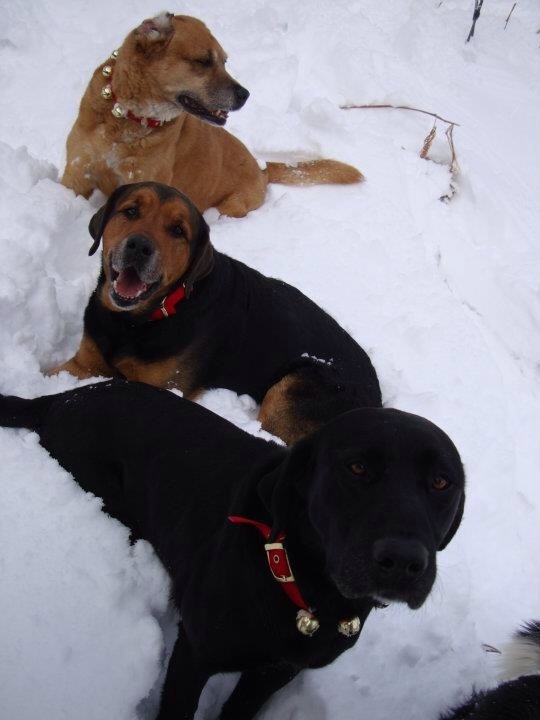 The paradox that a dog with enormous exuberance for life and capacity for love would die because of his heart eluded me. Selfishly I left the clinic thinking about how I wouldn’t have Mulder with me for the holidays. How I wouldn’t have him with me when I eventually got married one day. How he won’t be around to steal chicken wings from the hands of my kids. I always said he wouldn’t leave me until I met a nice man, someone to replace him, to be there for me when he passed and to take over being that peaceful neck to snuggle into, but that hadn’t happened yet. I was in absolute denial that Mulder was, in fact, mortal. His decline was slow, thankfully, and thanks to Mulder’s infallible spirit, his three week prognosis was wrong and I had five more months with my sweet boy. Throughout that time, I noticed little changes here and there. Sometimes weeks passed without a noticeable change, and sometimes changes occurred just days apart. I took mental notes. I watched him with an unfaltering eye, convinced I would allow him to live with dignity and quality, and neither allow nor prolong any suffering. He got up slower one day. He lingered longer on his bed before demanding breakfast. He spent a few less minutes outside, making his mayoral rounds of the farm. He started to choke when he scarfed his food down too fast. His trips outside became even shorter. 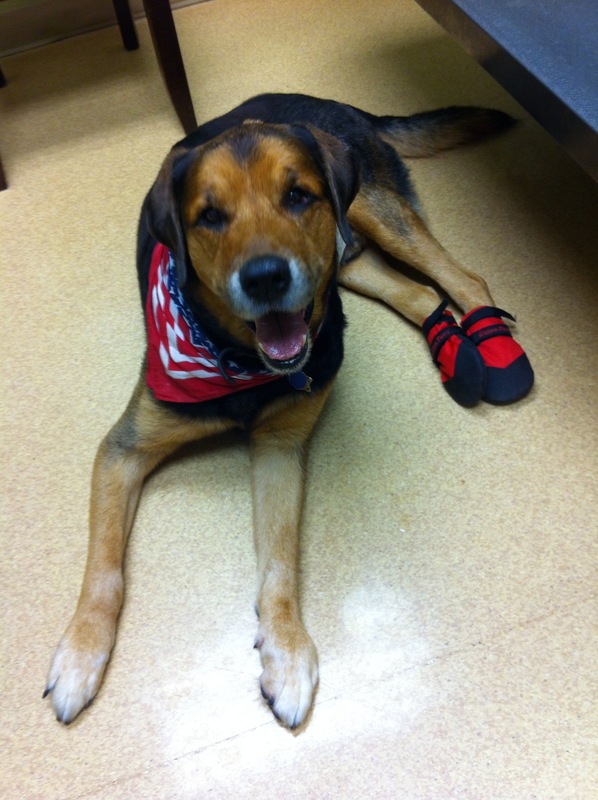 He sometimes didn’t get a full footfall with his bad leg and would step on the front part of his foot and not the pad. He could get up on his own, but it became more difficult and oftentimes I preferred to help. Every day that I woke up and saw his chest rise and fall, I exhaled relief and found my smile. I’d jump out of bed to sit next to him, his face buried in my lap while I stroked and scratched his velvety ears and told him how much I loved him. I had this same routine when I left for work. And when I returned. And right before we went to bed. And any time in between when I caught myself being home and in a moment of self-serving thought, I’d stop and get down on the floor with Mulder, resting my forehead on his, breathing him in, telling him I loved him as much as he loved me. The night before Mulder died, he was on my neighbors porch, but decided to go home during a major storm. He made his way through the doggie door and headed across the driveway. Only on this trip, his hind end was too weak to wade through the muck and mud, and he fell, never to walk unassisted again. I came home to find my neighbor and her daughter, drenched and filthy, carrying Mulder into my home. Seeing him so wet and weak was heartbreaking. That night, he couldn’t move from his spot to sleep with me in my bedroom, so I opted to sleep on the couch. I spent a restless night there next to him, waking constantly with tears rolling down my cheeks, checking to see if he was feeling better, if rest helped him. His breathing was labored. I felt panicked. I needed morning to come. When the morning came and he still didn’t want to get up on his own, even for a treat, I knew that perhaps his time had come. He still wanted the treat, but he couldn’t physically stand up on his own. I texted and called my sister in law before 8am, telling her about Mulder’s condition. I also texted my vet, giving her the heads-up that Mulder had taken a turn for the worse. I left Mulder resting comfortably at home and reluctantly went to work. My sister in law went to check on him mid-morning, given she was a vet tech for years. When she called, she told me her rather clinical observations of how Mulder was, that he was ataxic in his hind end and that was probably neurological. She said that there may be medications and alternative therapies to help him become slightly more mobile, and yet in the same breath told me that she thought it was his time, if I was ready. I surprised myself and incoherently responded that I was ready. I had just received a similar call from my vet about my dog Jenna barely eight months before. This time, I literally choked. My throat closed in. I texted my co-worker and friend to come to my office and she appeared within ten seconds of my request. She helped me to a back room where I cried and dialed numbers on my cell and forced her to talk with other friends and family and tell them what was about to happen. When I got home, my sister in law was waiting. We placed a sling under Mulder’s abdomen to take him out one last time. The vet was on her way from the clinic with all of the requisite medications. We gave Mulder a marrow bone to gnaw on and enjoy while we waited. 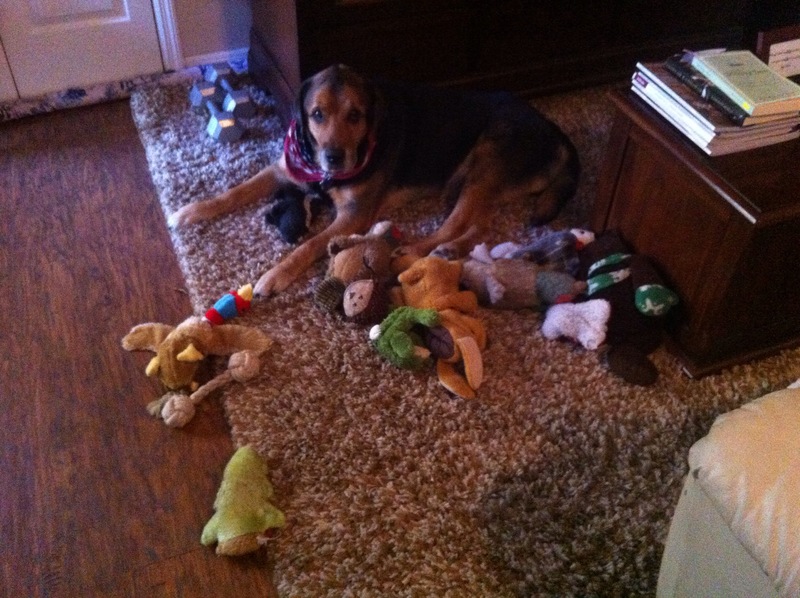 We surrounded him with his favorite stuffed toys. He didn’t appear to be in pain. He was immobile but all he cared about in that moment was cleaning out the marrow bone. My vet arrived and immediately gave Mulder the sedative. When I realized that the gears were in motion to end Mulder’s life, I wailed. I lay on my stomach on the carpet next to Mulder, staring into his eyes and promising him that I would be there, that I will be the last thing that he sees when he finally closed his eyes. Being the best worst dog on the planet (and having polished off the marrow bone), we gave him a rawhide to hold onto, so we could tell when he finally was asleep. He latched onto the rawhide in typical, Mulder, vice-grip fashion. 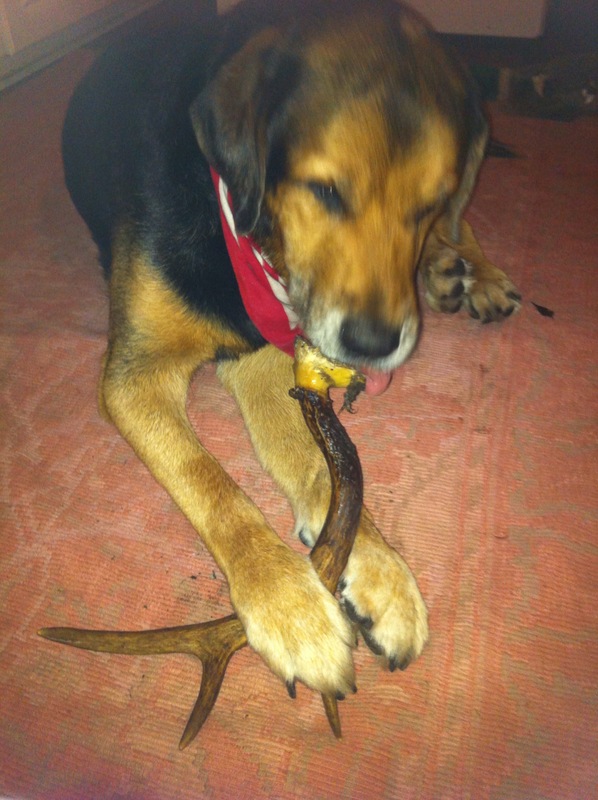 As his eyelids became heavy and I was able to jiggle the rawhide loose from his teeth, I panicked, doubting my choice. I asked my vet and my sister in law if I was doing the right thing. If we should stop. If there was anything else to do. I felt guilty because I felt some relief knowing that I wouldn’t have the daily anxiety of watching and waiting for heartbreaking signs of his mortality. But I knew in my heart that I had monitored him with eagle eyes since August, and that he had quality of life-according to my standards-until less than twenty-four hours before. Mulder died laying in his favorite spot on our living room floor, January 13, 2015. He was three months shy of his fifteenth birthday. I do not know what to do without this dog. It’s been exactly a month now, and I still cry everyday. I still see and smell and hear and feel him. Witness of my life. Carrier of my secrets. My biggest admirer. Cuddlebug. Friend. Thank you, Mulder, for being the best worst dog on the planet, and for choosing me. I didn’t want her to go. But then, all too soon during our lifetime together, I noticed small changes that told me Jenna was no longer comfortable. Typically I came home from work to find two elderly dogs trotting down the dirt road to greet me, eager to shave thirty seconds off our time apart: Mulder trotting sideways with a broken tail held off to his right, Jenna prancing with her bushy tail swinging. Then, only my side-trotter made his way to greet me. I’d get out of my truck and find Jenna sprawled on the concrete in front of our home, or inside sleeping on her bed. She needed encouragement to go outside-strange for a dog who relished all things outdoors. She shook upon standing and walked hesitantly. On our last night together, she had a rounded abdomen and her appetite dropped. I fed her vanilla ice cream, a marrow bone, and turkey. She had little interest in any offering. I planned to spend Memorial Day weekend away. Given the evening before with Jenna, I felt uncomfortable leaving her. I dropped her off at the vet before work, and Mulder went for moral support. If I had to drive home without Jenna, I wanted to have Mulder to lean on. The vet called me not even two hours later. “It’s time to put Jenna to sleep,” she said. I wasn’t caught off guard per se, but anxiety and fear choked me. My stomach lurched. Tears fell. The vet told me that I could take her home for one more night and bring her back in the morning. She then talked about a large liver tumor that had ruptured bloody fluid into her abdomen. I didn’t want to prolong Jenna’s suffering. She told me to come in immediately. I ran out of my office mumbling to my co-workers where I was going. The words made me sick. I drove safely across town by the grace of whatever God loves me, and because I forced every thought of Jenna out of my mind. At the vet clinic, the receptionist ushered me into the last waiting room, where Jenna lay half on a thick, fleecy layer of blankets while Mulder sprawled out on top of them. I encouraged Jenna to move into a more comfortable spot. She did not feel well and I knew that no amount of love, supplements, medication, or even surgery could make her feel better. She looked at me with soft eyes. She did not pant. She did not wag her tail. She was stoic and in that stoicism, I knew she was ready to leave. I hugged and kissed and pet my Jenna, hoping every touch conveyed to her the thirteen years of love in my heart. I thought about the freedom she had and loved during her later years. I hoped she was remembering all of the places she’d traveled and lived, things she’d sniffed, animals she’d chased, carcasses she’d rolled in, swims she’d taken, and mountains she’d climbed. I lay next to her recalling how much of my life I experienced with her by my side. 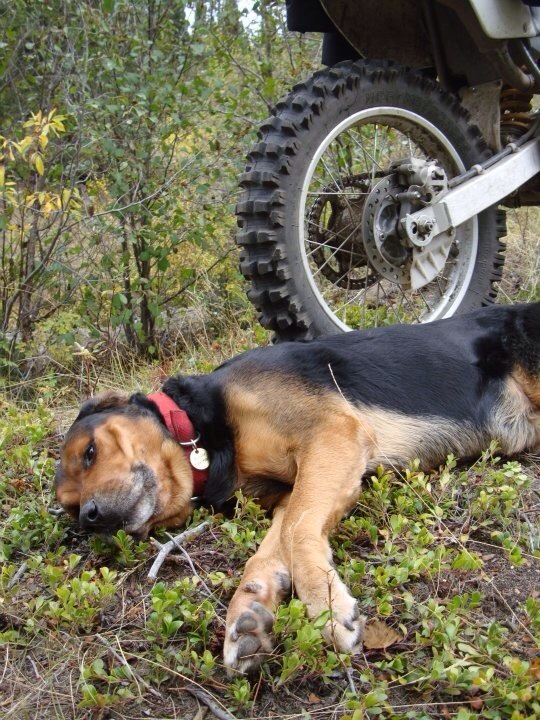 She was my first dog and boy, did she have to deal with my steep learning curve! However, learn I did, and I grew into an adult with her. We traveled all over the US and Canada. She flew in an airplane and rode in boats. She witnessed my (failed) engagement. When I was diagnosed with breast cancer, she slept next to me when I was home alone, and gave me a reason to get out of bed. When I faced sickening heartbreak she accepted taking backseat to my grief. She was the ultimate companion, asking for me only to respect her individuality and provide for her basic needs. I nuzzled my face in her fluffy mane. I wanted to make some neuro-connection so that I could always recall her scent. I couldn’t decide if I wanted the vet to come in soon, or if I wished for her to become caught up in emergencies for the entire afternoon. Really, I sat there with Jenna wishing I spent half of my life hugging her, and mourning not only the future without her, but also all of those moments I already missed. The vet came in and gave her a sedative. There was no lengthy discussion. I told the vet I didn’t want a lot of time to pass once Jenna was under anesthetic, that I wanted her to be given the euthanasia shortly thereafter. Jenna fell asleep for the last time with her head resting softly on my lap, my fingers touching her gray face and rubbing her soft ears. 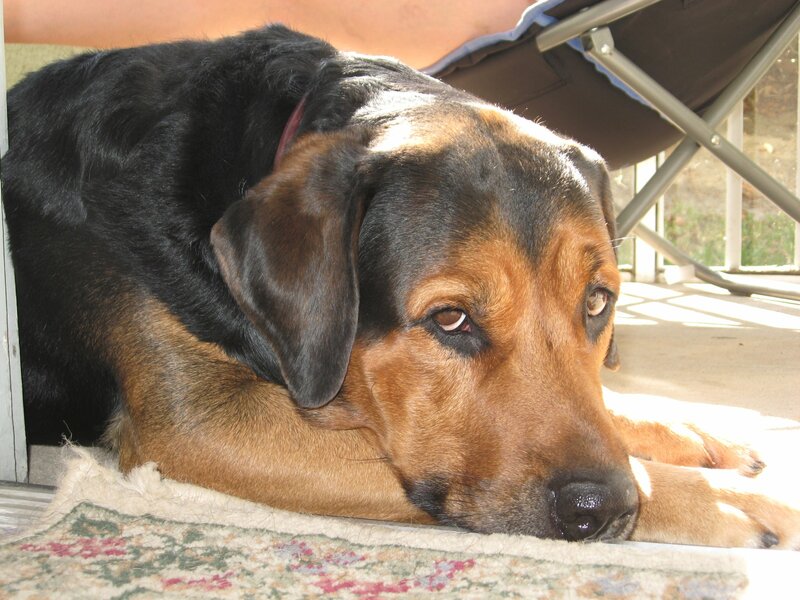 After the vet administered the euthanasia, I felt her heart continue to beat and then without major consequence or fanfare, I felt it no more, and Jenna was gone. Her nerves continued twitching after her heart stopped. Given her lifelong penchant for following her nose, it was quite apropos that her whiskers twitched the longest, as if her nose took the lead, navigating her way out of the physical world. I keep Jenna’s collar and a picture of her, comfortable, content and embracing life, on my mantel so she can watch over Mulder and me, reminding us that she’s waiting somewhere down the road.